To reduce personal loss due to ineffective treatment or untreated mental illness symptoms and behaviors. It is our goal to provide person-center support for community members impacted by mental illness through an open door, campus-approach to accessing information, resources, and services. Community members are adults and families who are seeking support for themselves or for their loved ones to improve mental health well-being. Kiesler Wellness Center, known as Kiesler House from 1994 until May 2017, was proudly named after Dr. Frank Kiesler. The name Kiesler embodies our vision to innovate approaches to providing mental health services—person-centered, recovery focused, and wellness driven. Dr. Frank Kiesler was a trailblazer of mental health services and always knew how to treat the person, not just the symptoms. He was born in Waseca, Minnesota. After receiving his doctor of medicine degree from the University of Minnesota in Minneapolis, he was commissioned a first lieutenant in the US Army Medical Reserve. In March of 1942, he was placed on active duty with the 26th General Hospital at Fort Sill, Oklahoma. He then served with the 31st Station Hospital in the western Pacific for more than three years as chief of Neuropsychiatry, attaining the rank of major. In 1948 he completed formal training at the University of Minnesota and was certified as a specialist in Psychiatry by the American Board of Psychiatry and Neurology. He served as a full-time member of the faculty of the University of Minnesota Medical School and as a consultant to the Veterans Administration Clinic at Fort Snelling. In 1960, he came to Grand Rapids to become director of the Northland Mental Health Center. He continued part-time with the Medical School as a visiting clinical professor. At Northland, his pioneering work in rural mental health program development attracted visits by psychiatrists from many parts of the United States and from other countries around the world. He was the author of many professional articles and book chapters. He served as a visiting teacher at the Universities of Chicago, Cincinnati, Pittsburgh, Maryland, North Carolina and Vermont and at Harvard and Duke Universities. At the end of 1972, he retired from administrative responsibilities and continued with Northland as psychiatrist and medical director. 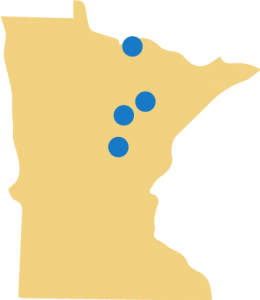 From 1973 to 1978 he was also a part-time consultant for the psychiatric service of the Hibbing General Hospital. After partial retirement at the end of 1986, he continued to serve Northland’s International Falls and Aitkin offices as consulting and supervising psychiatrist. He was a member of the medical staff of the Itasca Medical Center, the Falls Memorial Hospital, the Aitkin Community Hospital and the Hibbing General Hospital. He was a founding member of the Minnesota Psychiatric Society which he served in many capacities, including the presidency. In 1987, the Minnesota Psychiatric Society honored him with its Distinguished Service Award. He was a Life Fellow of the American Psychiatric Association and Emeritus Charter Fellow of the American College of Psychiatrists. He was a member of the Community Presbyterian Church, serving as an elder and longtime usher. In 1994, Dr. Frank Kiesler was honored to be the namesake of a brand new community support program in Grand Rapids. Kiesler House was established as a clubhouse for people with a mental illness. This facility is a result of the closing of the Regional Mental Health Facility and our community’s push towards local mental health supports in place of hospitalization. Frank loved to garden, grow his variety of beautiful roses, and create slideshows of his wildflower photography. He was a husband, father, and grandfather. Frank’s legacy will continue to inspire….Hope will continue to grow. 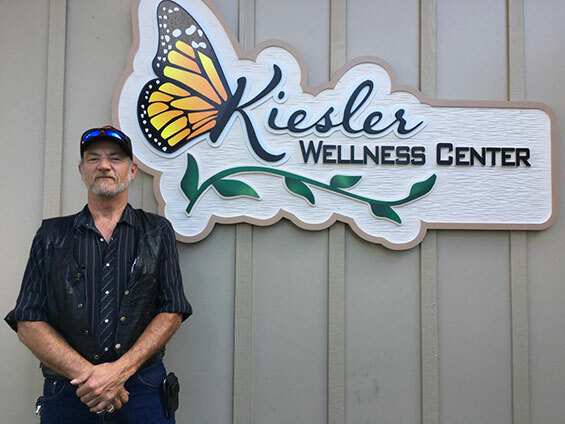 Kiesler Wellness Center, named after psychiatrist Frank Kiesler, was established in Grand Rapids, MN in 1994 as a clubhouse for persons living in mental health recovery. The facility resulted from communities pushing toward local mental health support in place of hospitalization after the closing of the Regional Mental Health Facility. Kiesler Wellness Center is a place for members to gain self-esteem, job skills, and peer support. Our staff and members work side-by-side to create a unique environment in which mental illness is supported and accepted. Membership is life-long. Once you become a member of the Kiesler Wellness Center, rest assured that you will always be a part of the warm, non-threatening and healthy surroundings. This is your program and your ideas matter and make a difference! Feel secure in that Kiesler members will be there to support you in your mental health recovery.